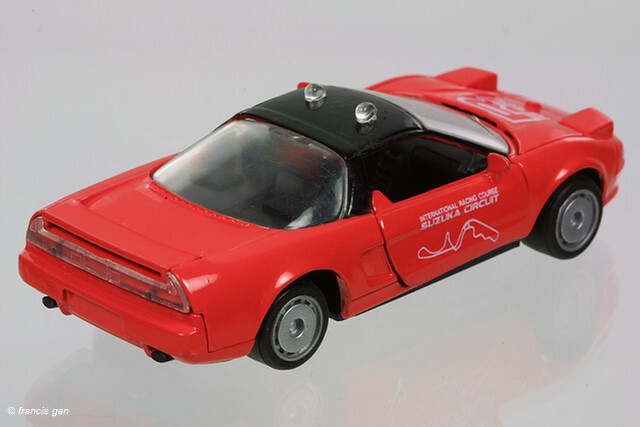 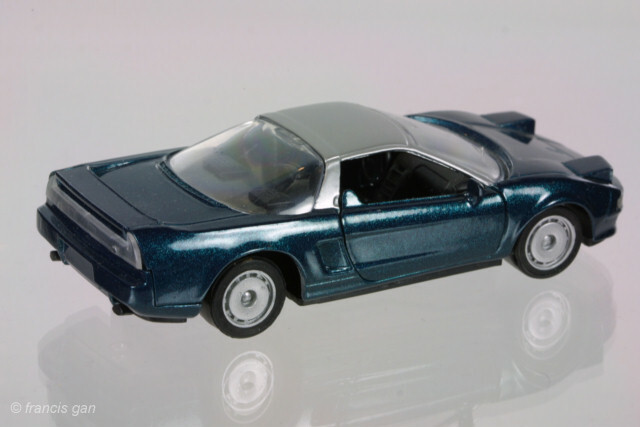 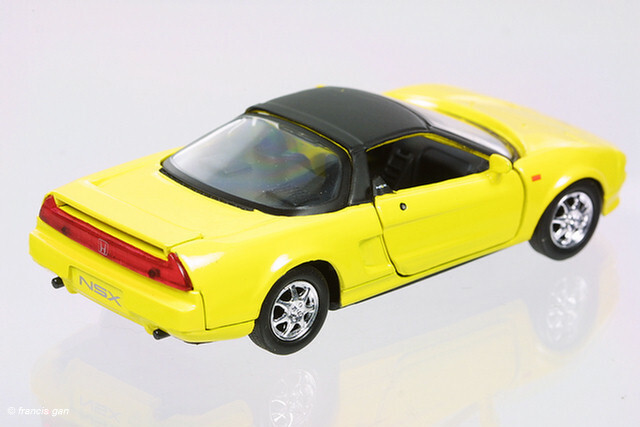 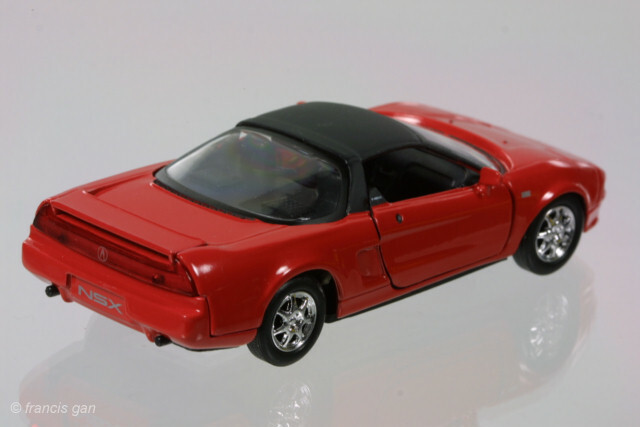 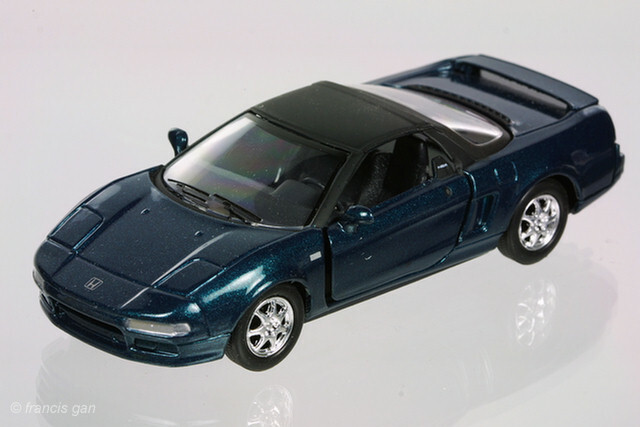 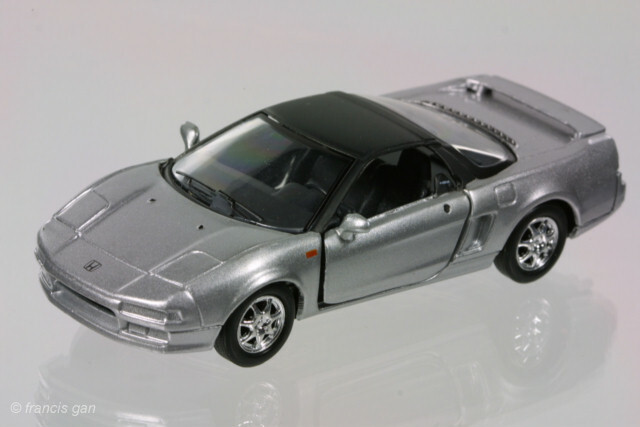 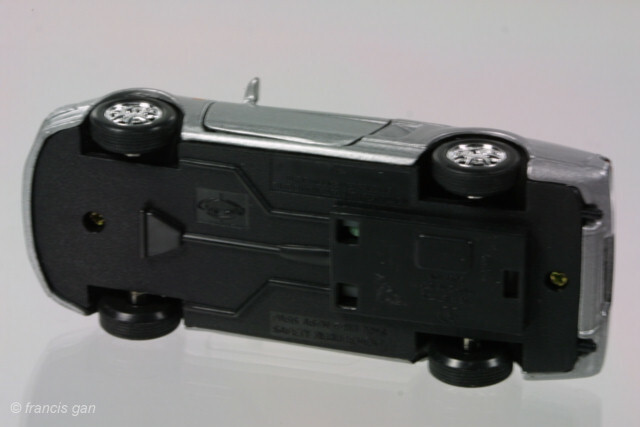 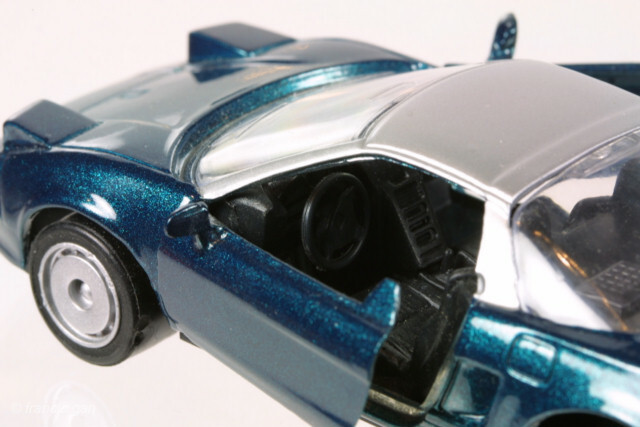 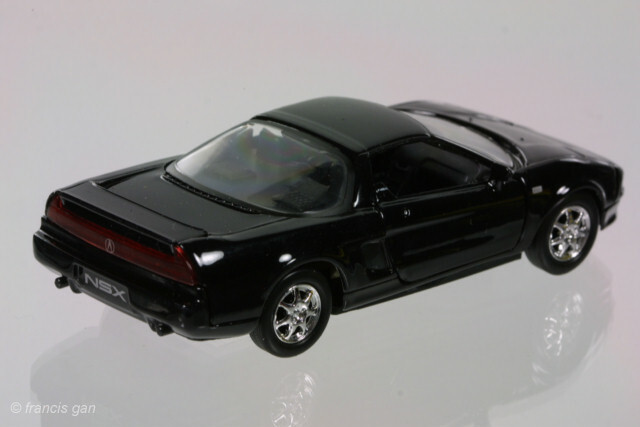 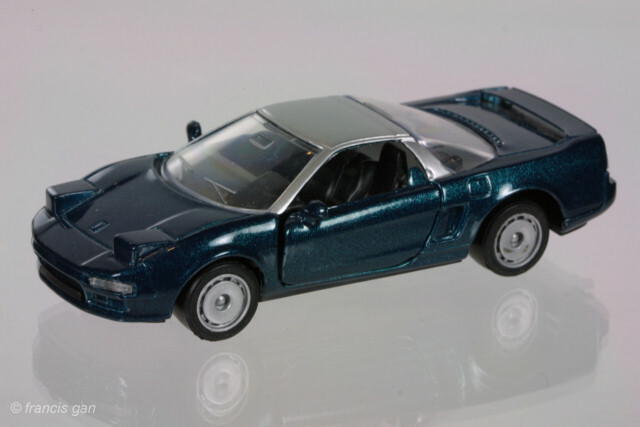 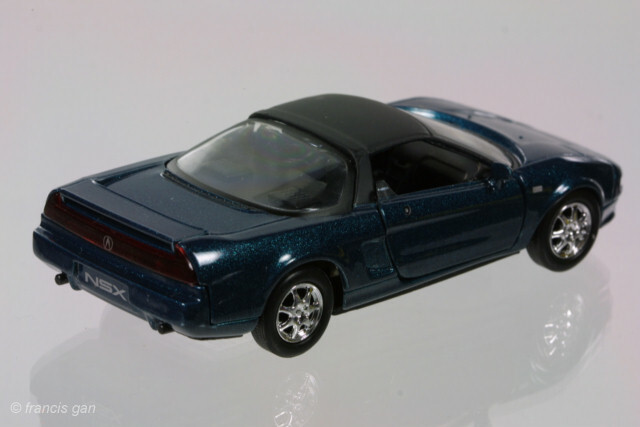 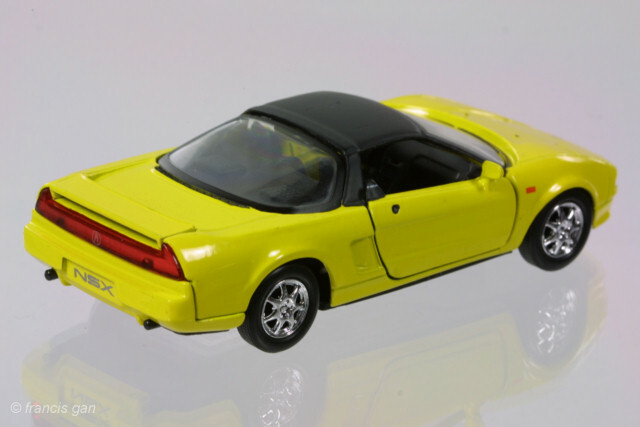 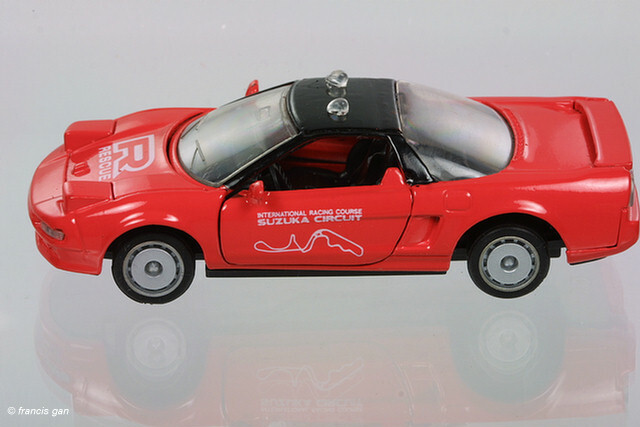 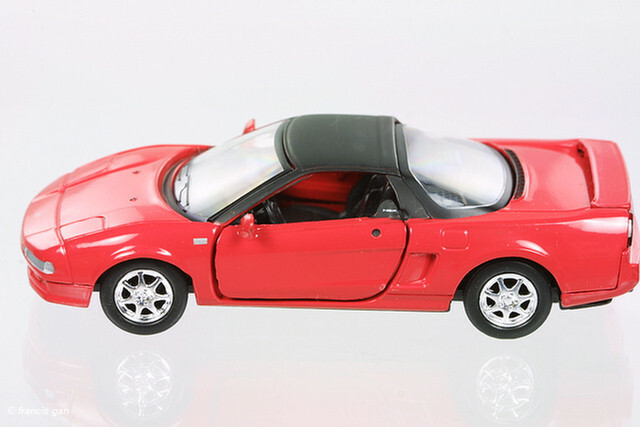 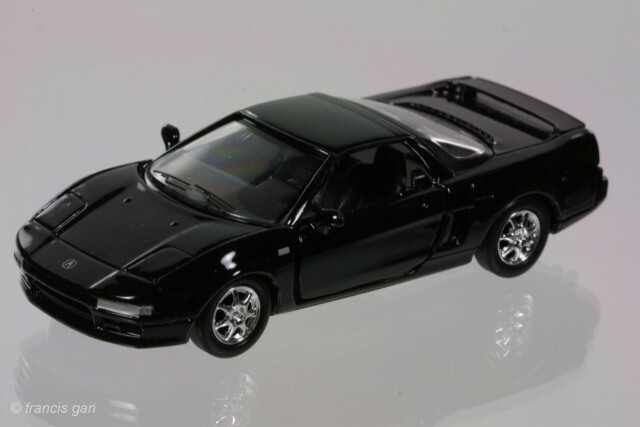 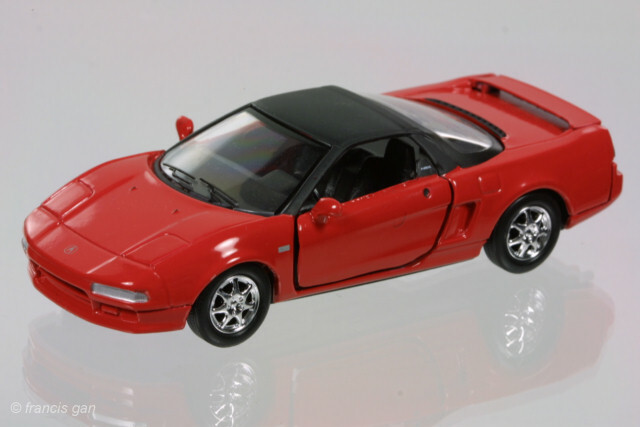 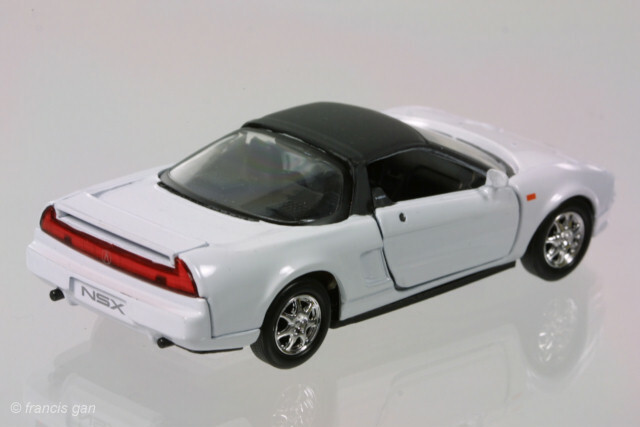 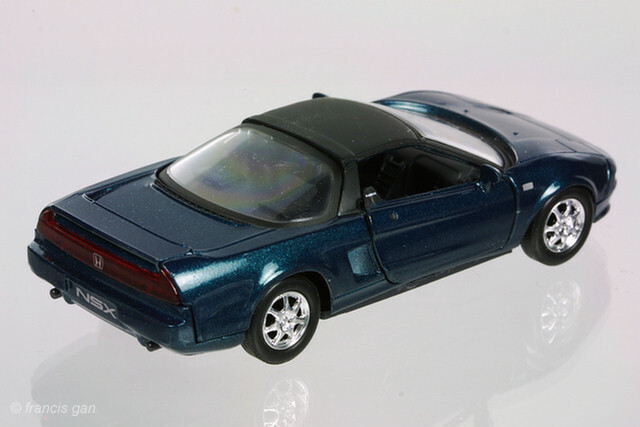 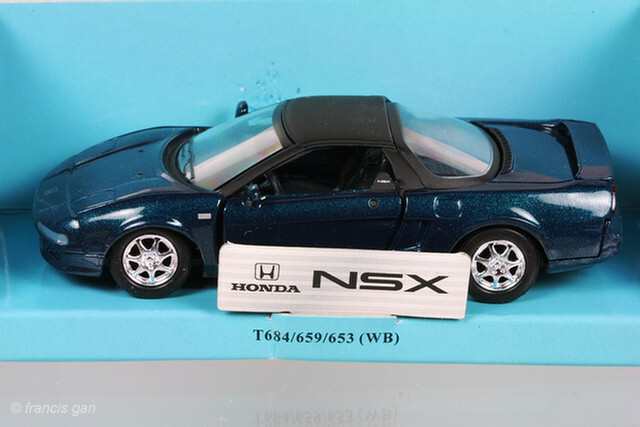 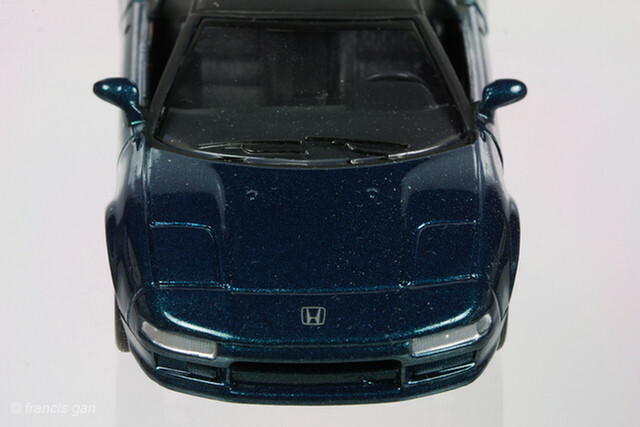 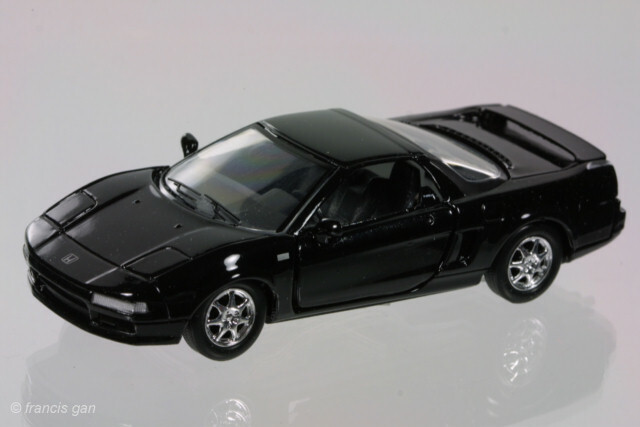 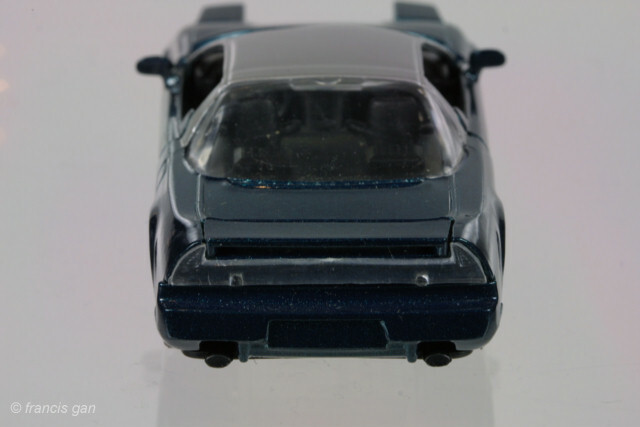 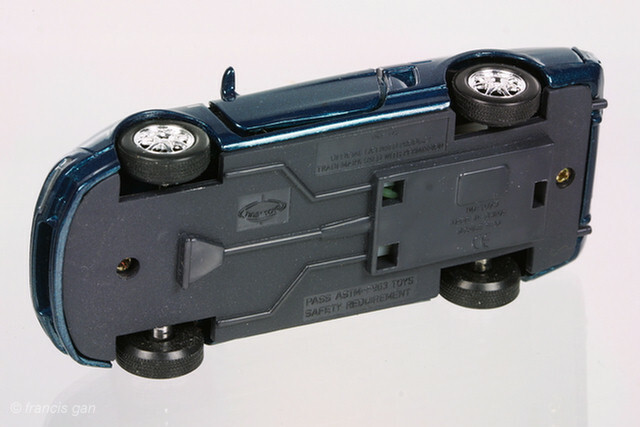 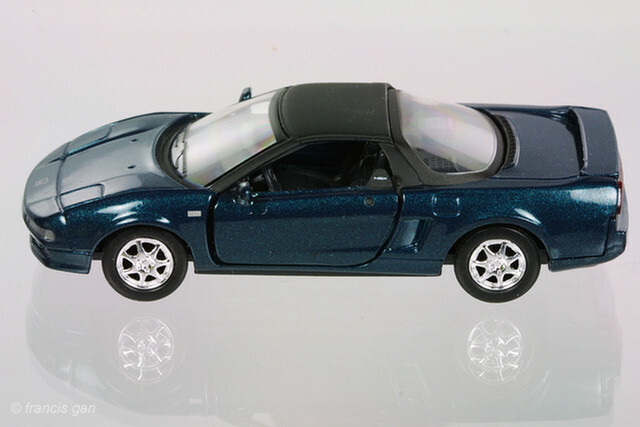 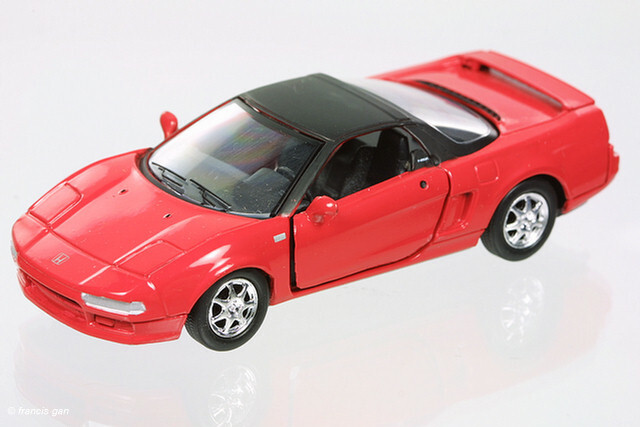 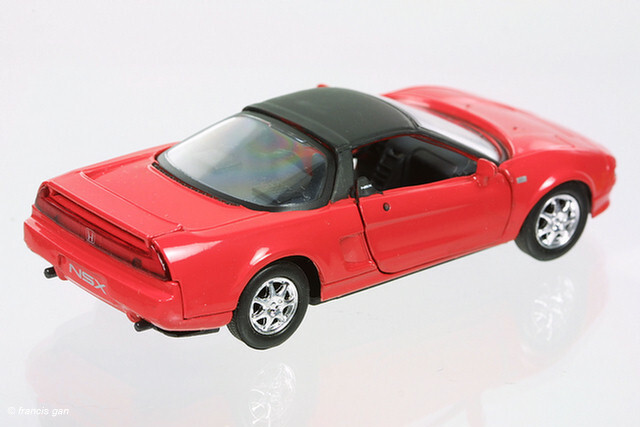 This Tin Toys NSX in 1:36 is one of the more crude unlicensed castings of the NSX. 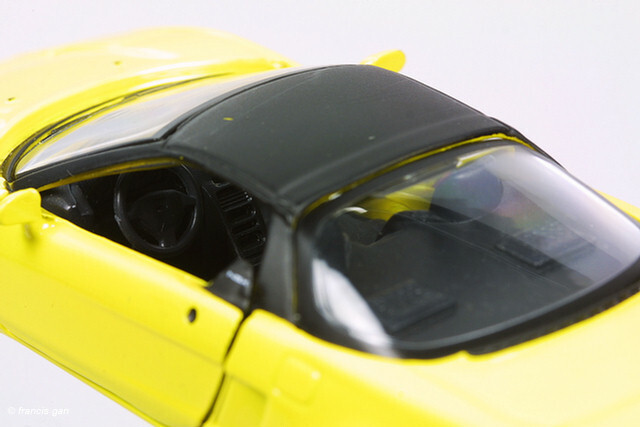 Although the interior is relatively accurate, the pair of speaker grilles on the engine bay were interesting. 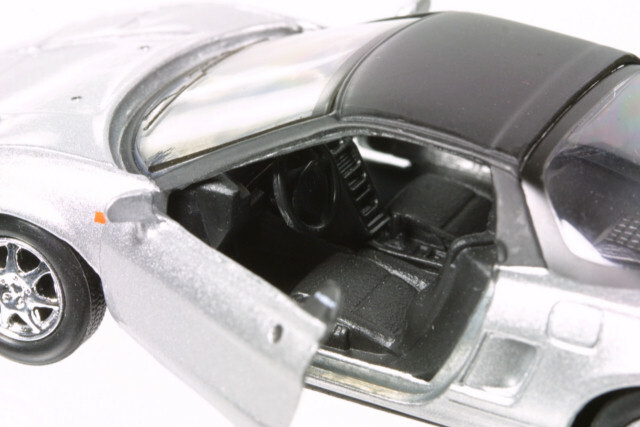 The insides of the doors did not match the accuracy of the interior either. 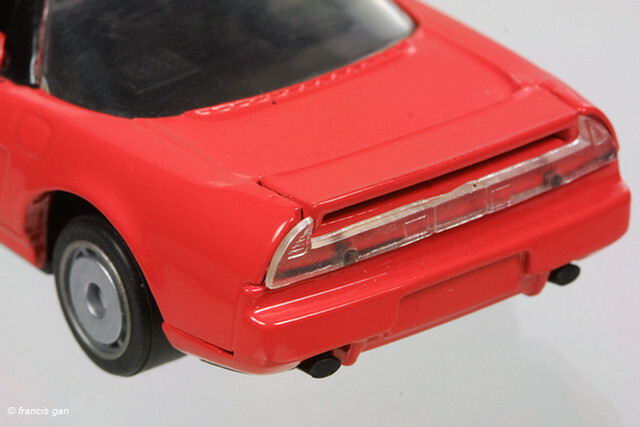 The wheels are an interesting "after-market" choice. 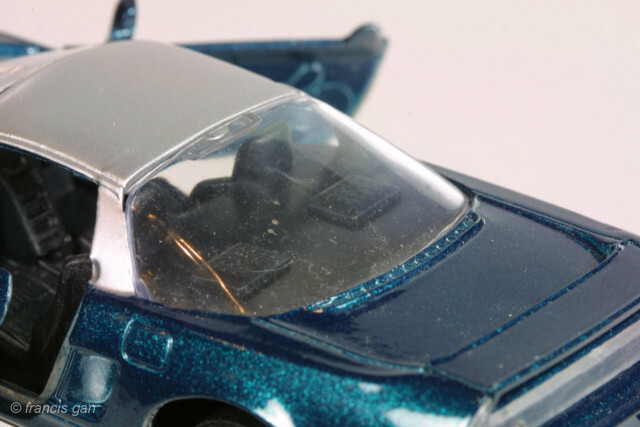 The silver roof is an interesting touch - providing contrast with the body color. 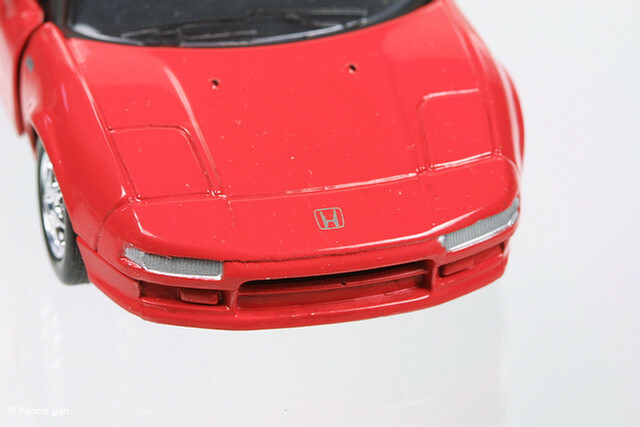 The headlights are cast in an open position. 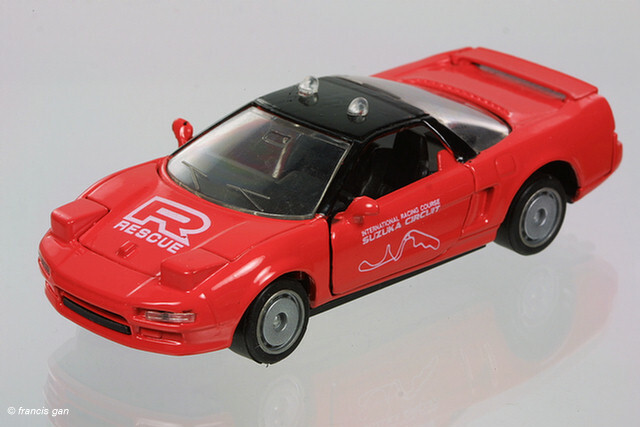 Here's another rare variation in red in Safety Car form. 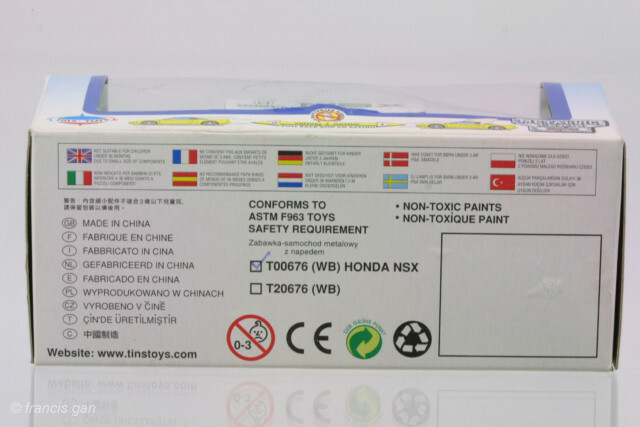 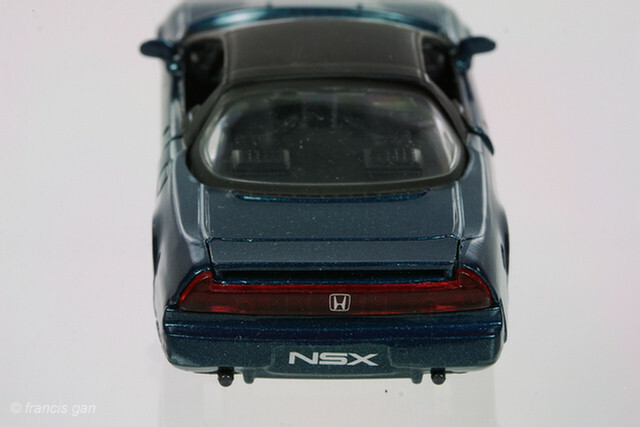 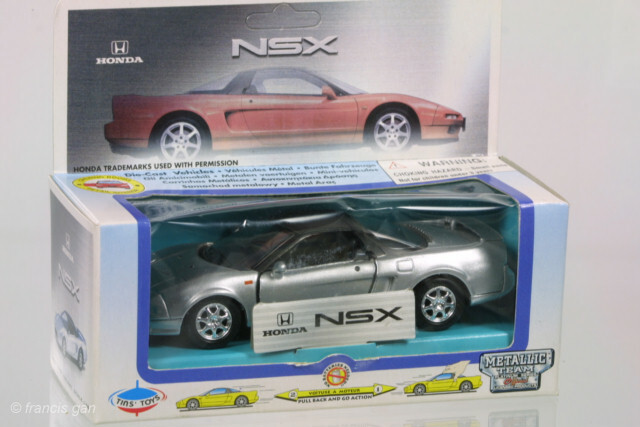 Later on, Tin Toys obtained the license to produce the NSX in both Honda and Acura forms - with slightly improved accuracy. 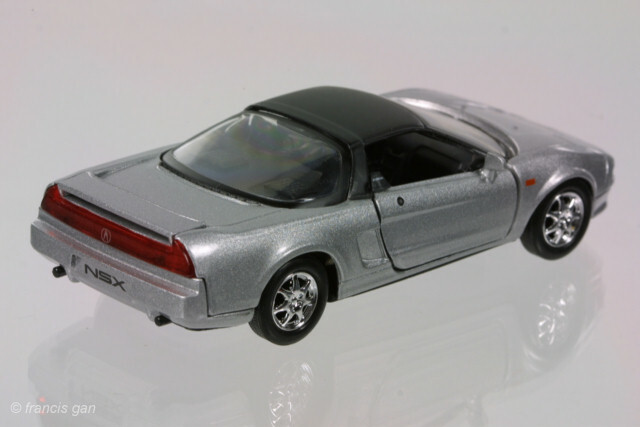 The wheels are now chrome 6 spoke wheels from the 95+ model. 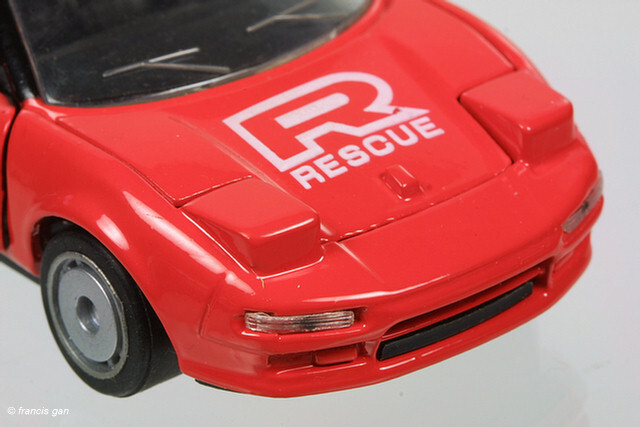 The headlights are now casted closed. 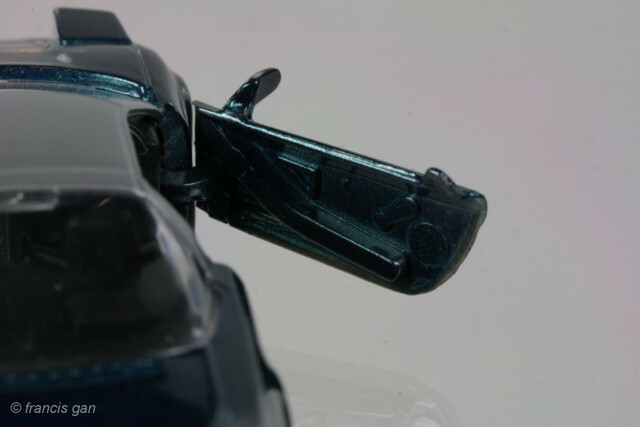 However, the LHD interior stayed the same - including the "speaker grilles" on the engine cover. 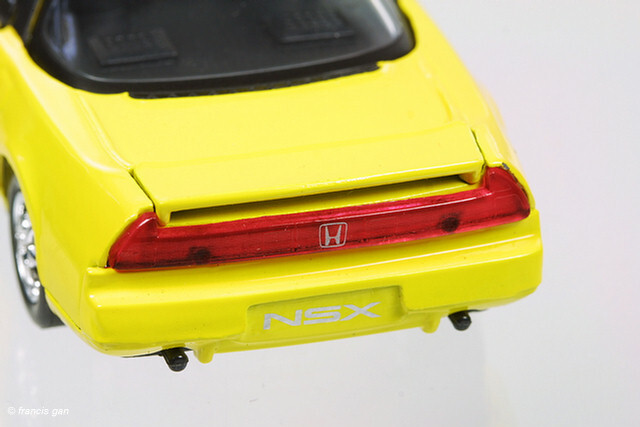 Additional details include black painted windshield washer nozzles, painted key holes, black side intake grilles and "NSX" on the door handles, The roof is matte black (should be gloss on the NSX). 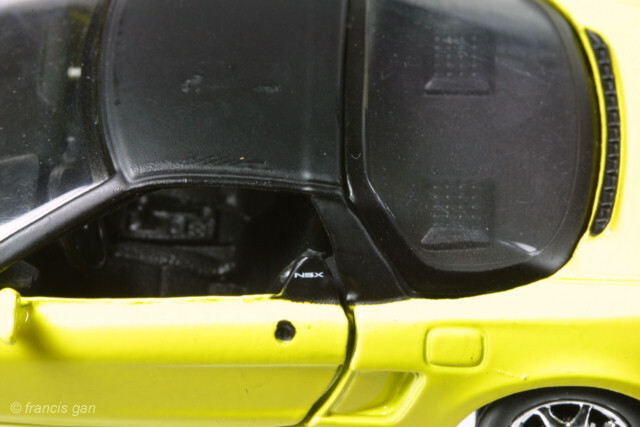 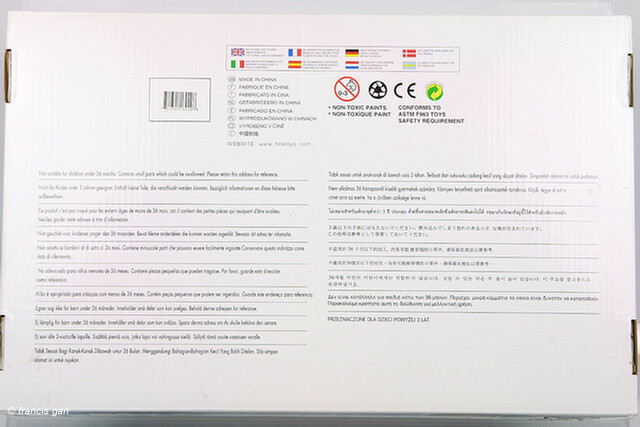 The overall paint quality is below average with number of blemishes and marks. 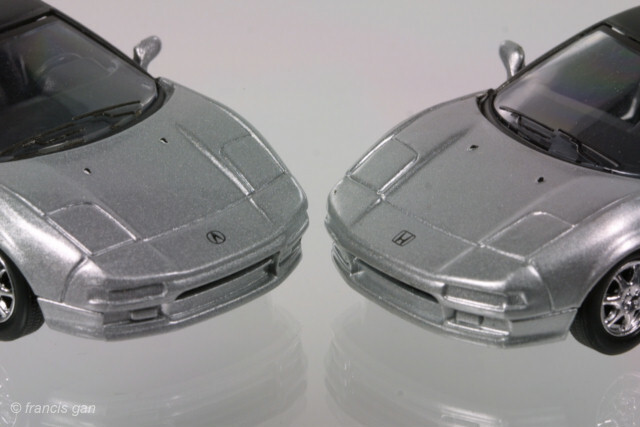 The casting is also not consistent from car to car with minor blemishes and "dents" here and there. 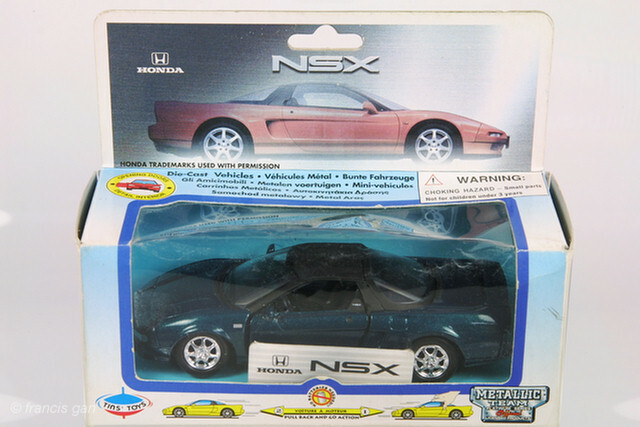 The Acura version has the Acura caliper logo on the front and rear (which is not correct for the pre-2002 models). 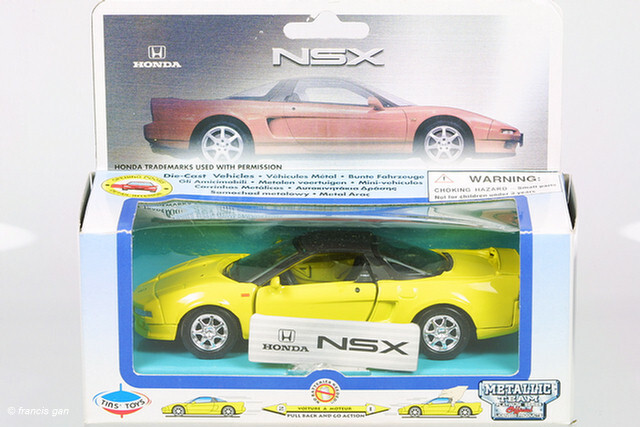 The Acura version was available in Yellow, White, Red, Black, Grey and Silver. 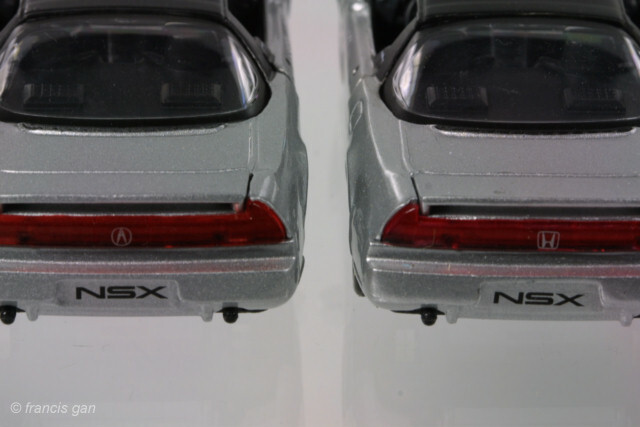 The Acura NSXs were mostly available as single loose cars. 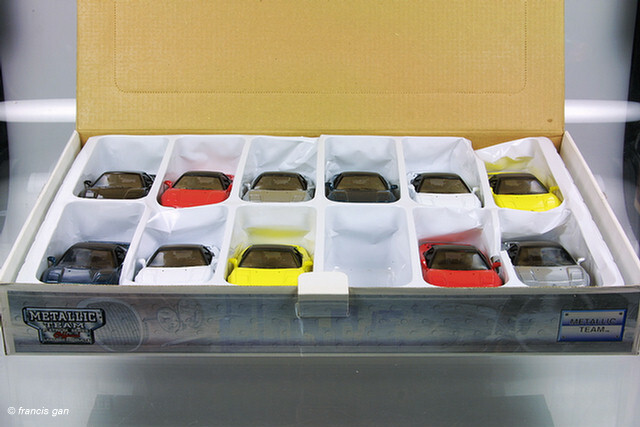 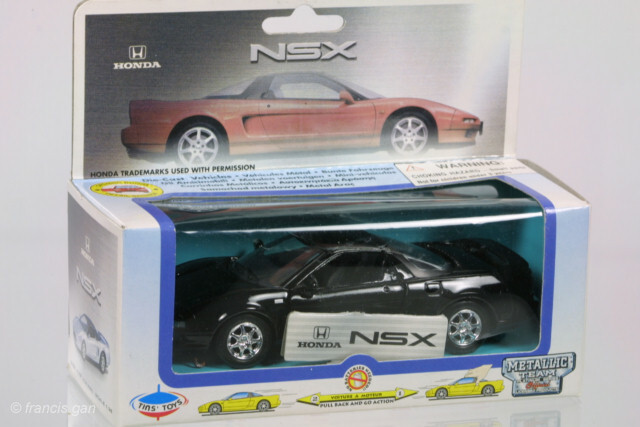 I was lucky enough to find a full NSX decorated box of 12 cars (2 of each color) in addition to the loose ones (in all but black). 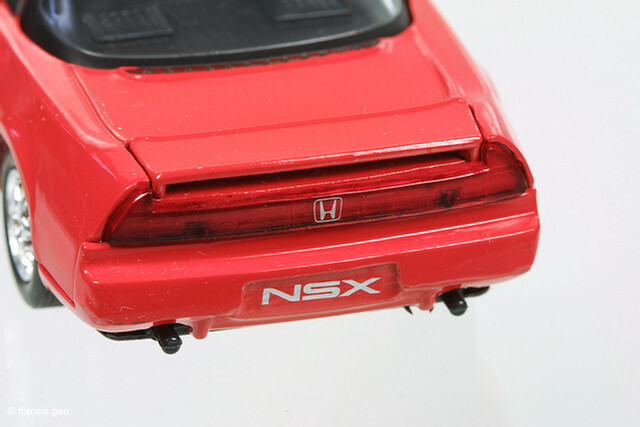 The Honda version has "H" logos front and rear. 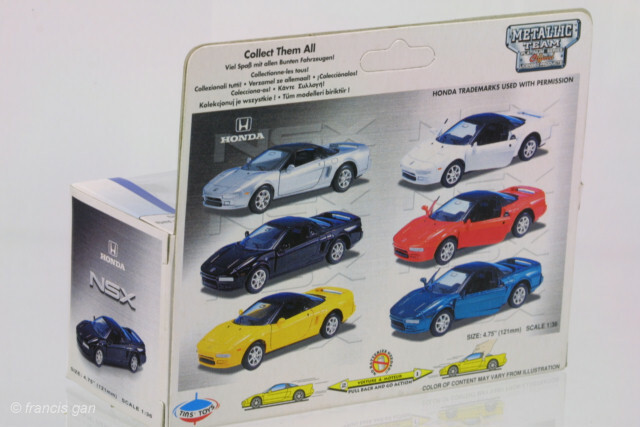 The Honda version was available in Yellow, White, Red, Black, Grey, Blue and Silver (though my current collection only includes the silver, grey, and black ones. 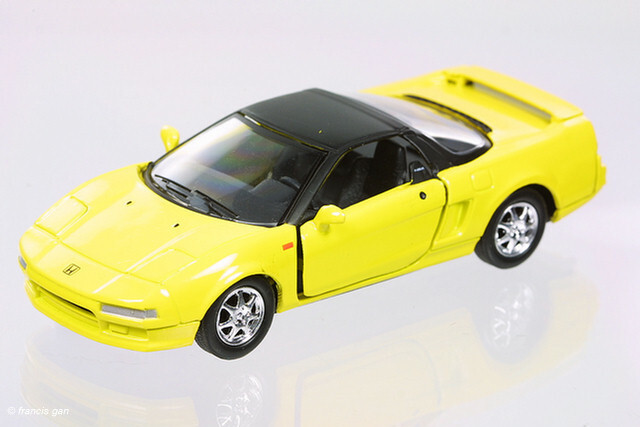 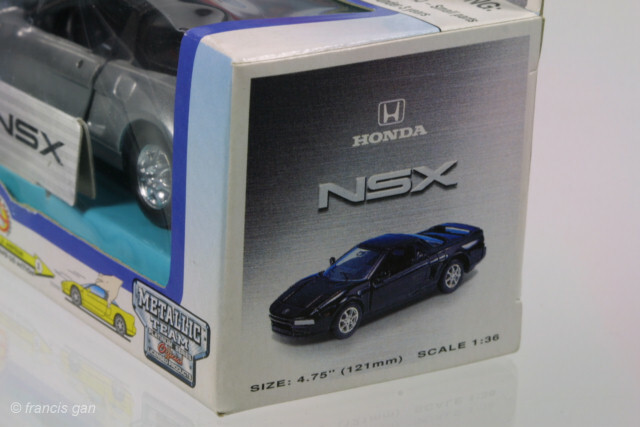 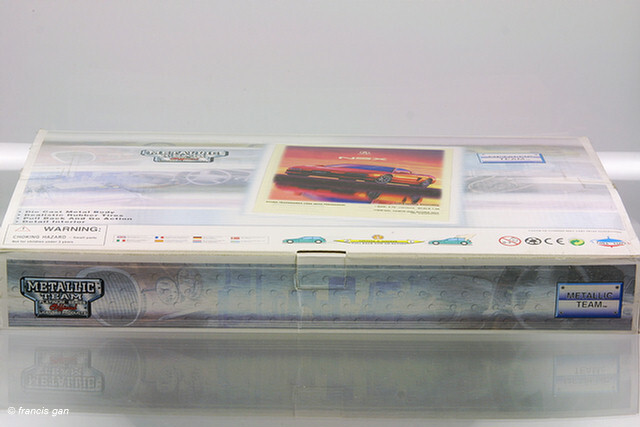 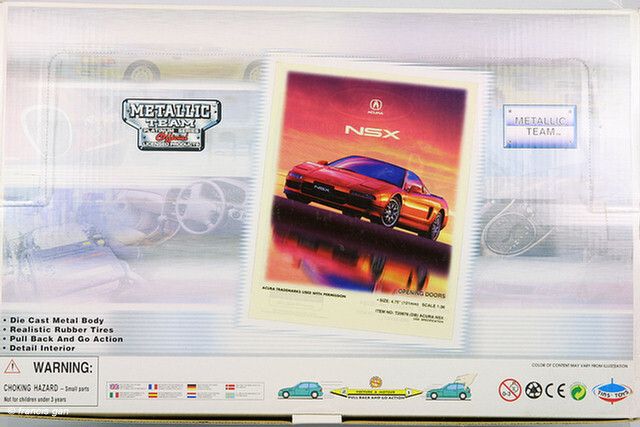 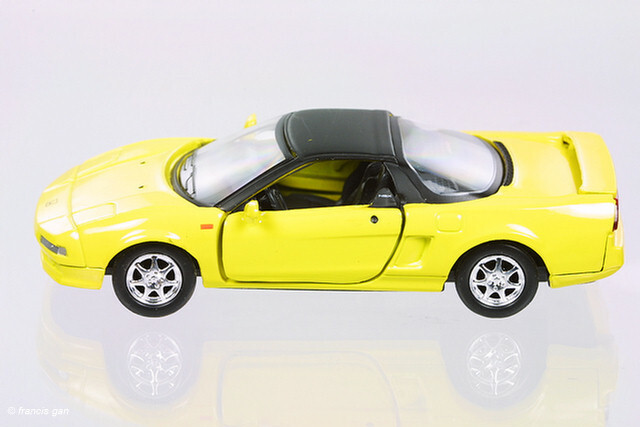 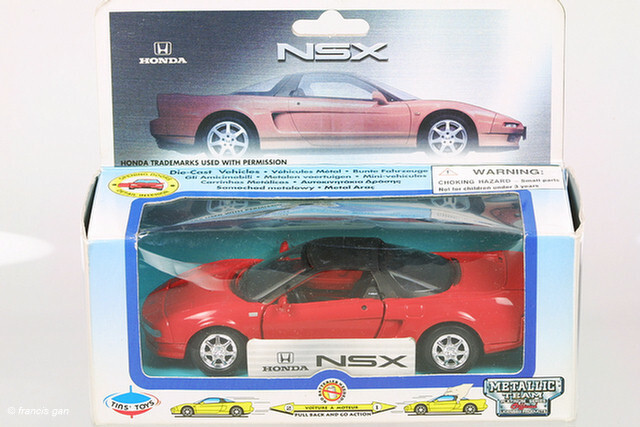 The Honda models were available in individual NSX specific windowed boxes.